For the Seventh Sunday after Pentecost, quite possibly the most powerful of affirmations is given by our Lord and Savior that it isn’t that difficult to tell who are the false prophets and heretics for by their fruits we shall know them. There is nothing ambiguous about Christ’s words that a bad tree will be chopped down and rooted out, then cast into the fire. What other kind of fire would the Son of Man be talking about in His parable but eternal hellfire? It dovetails with St. Paul’s words in the epistle that the wages of sin is death, as in mortal sin equals death to eternal life; and that eternal life is available only through the grace of God, our salvation merited by Christ’s offering Himself on the Cross, shedding every last drop of His Most Precious Blood for us. A most fitting commentary to the Epistle and Gospel for the Seventh Sunday after Pentecost in these tumultuous times. St. Elizabeth of Portugal was born in 1271, the daughter of Pedro III who would become king of Aragon. Isabel, the Spanish version of her name by which she is known in Portuguese history, was named for her great-aunt, St. Elizabeth of Hungary. Like St. Elizabeth of Hungary, she followed the rule of life as a Third Order Franciscan after the death of her husband, living near a convent of Poor Clares she had founded at Coimbra. From her youth, Elizabeth was a devout child who attended daily mass, prayed regularly, and fasted. These practices of piety and devotion equipped her with the strength and fortitude she would need when she was married at age 12 to Denis, King of Portugal. Though Denis was fond of his young wife, he did not share her piety and often strayed into sin, resulting in several illegitimate children. These children were lovingly cared for by Elizabeth along with her own two children, her daughter Constantia and son Affonso. This fact caused strife when Affonso felt slighted for the illegitimate children. Elizabeth served as peacemaker between her son and husband, resulting in their ultimate reconciliation. This mediation was just one of many times Elizabeth was called upon for her ability to help feuding parties come to peace and resolution. The final time would be when her son, now king, headed for a battle he should not wage. The target of Affonso’s wrath this time was his own son-in-law. Elizabeth successfully reconciled the two parties, but as she was aged and suffering illness, the exertion took its toll on her physically. She died peacefully in 1336, urging her son to love holiness and peace. O God, whose providence faileth not in its designs, we humbly entreat Thee, to put away from us all hurtful things, and to give us all things which be profitable for us. Through our Lord Jesus Christ, Thy Son, Who liveth and reigneth with Thee in the unity of the Holy Ghost, God, Forever and ever. Lesson from the Epistle of Blessed Paul the Apostle to the Romans, Brethren, I speak a human thing, because of the infirmity of your flesh for as you have yielded your members to serve uncleanness and iniquity for iniquity, so now yield your members to serve justice unto sanctification. For when you were the servants of sin, you were free from justice. What fruit therefore had you then in those things, of which you are now ashamed? For the end of them is death. But now being made free from sin, and become servants to God, you have your fruit unto sanctification, and the end life everlasting. For the wages of sin is death. But the grace of God, is life everlasting in Christ Jesus our Lord. Come, children, hearken to me I will teach you the fear of the Lord. V. Come ye to Him and be enlightened and your faces shall not be confounded. Alleluia, alleluia. V. (Ps. 46. 2) O clap your hands, all ye nations: shout unto God with the voice of joy. Alleluia. 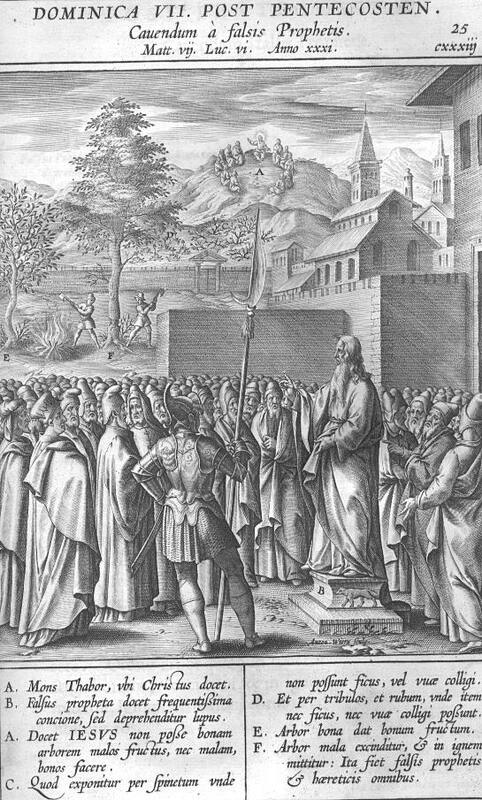 O God, who hast justified the variety of sacrifices of the Law by the perfection of this one Sacrifice: accept the Sacrifice of Thy servants who are dedicated to Thee, and sanctify it with a blessing like to that which Thou didst bestow upon the gifts of Abel, that what each one of us has offered to the honor of Thy Majesty, may profit us all unto salvation. Through our Lord Jesus Christ Thy Son our Lord, Who liveth and reigneth with Thee in the unity of the Holy Ghost, one God Forever and ever. May Thy healing work, O Lord, both mercifully free us from our perversities, and lead us to those things which are right. Through the Lord Jesus Christ, Thy Son, Who liveth and reigneth with Thee in the unity of the Holy Ghost, one God For ever and ever.